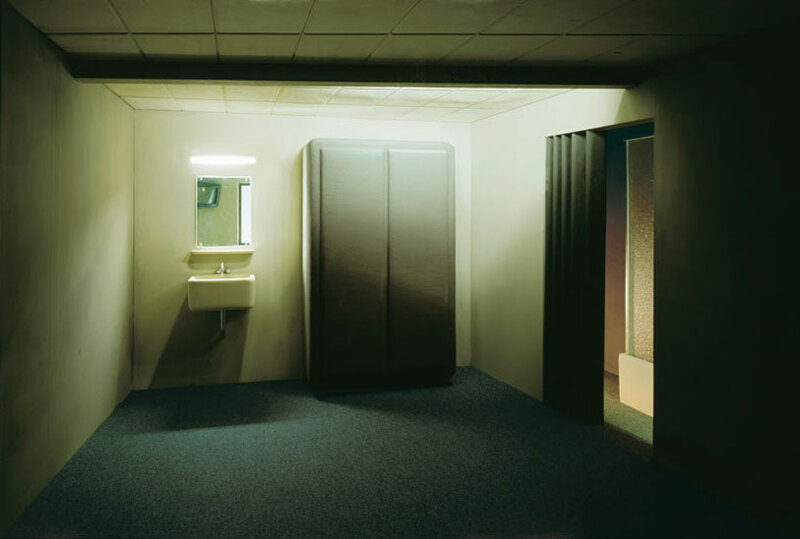 The sparsely-furnished room appears in a contrast-rich light situation. Light-dark contrasts of painted light and shadows help generate an atmosphere that enrolls dynamism in the static of the interior. On the left of the front wall is a washbasin. Above it hang a mirror and a lamp. 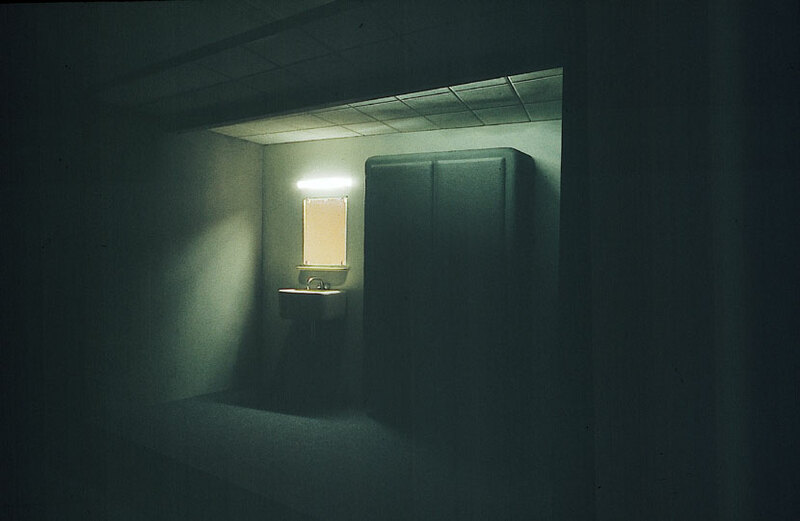 Visible next to the washbasin are, in their strangely bulky presence, the doors of a wardrobe. 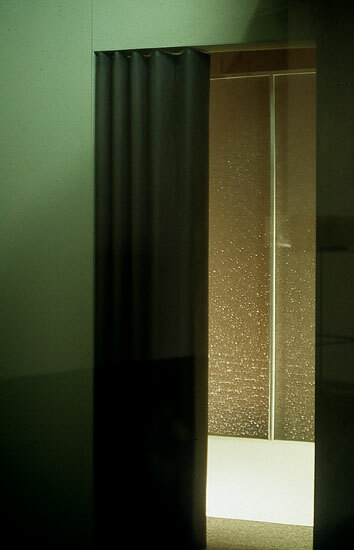 On the right wall of a dark-carpeted and green-painted room, a half opened folding curtain allows a view into an adjoining room, in which a shower cubicle can be seen. 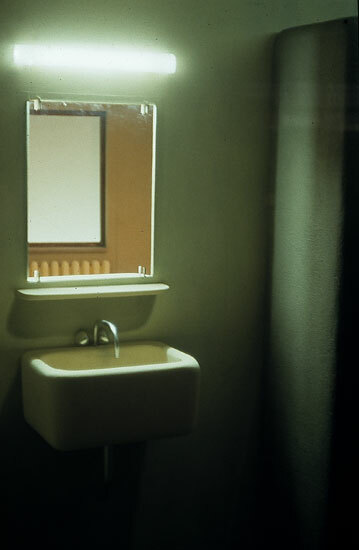 In the reflected image over the washbasin, a monitor and a window can be recognised. 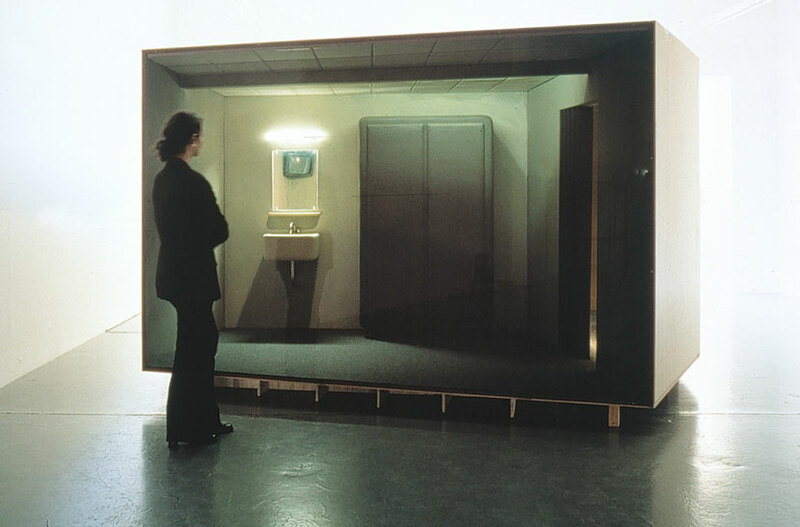 If these reflections had real existing counterparts, they would lie outside of the depicted space and behind the backs of the observers. 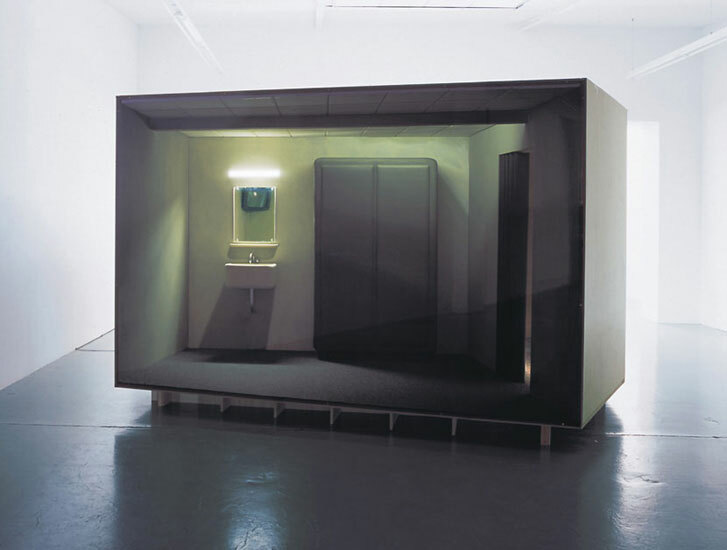 The mirror’s attributive function, supposed reproduction and reflex of reality, is manifest in this constructed space precisely through its cut. 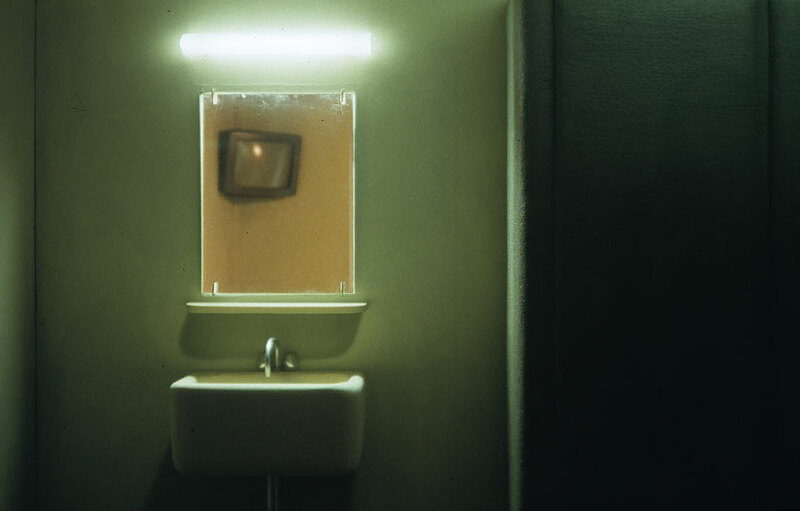 The switched mirror appears as the director of its own reality and becomes – through its confusion, or rather, illusion – an impulse-giver and motor of fictionality. In collaboration with the monitor and window, it factually and imaginarily expands the room. It opens a space into which we penetrate and reflects back, instead of the physical reality, our own penetrative gaze. 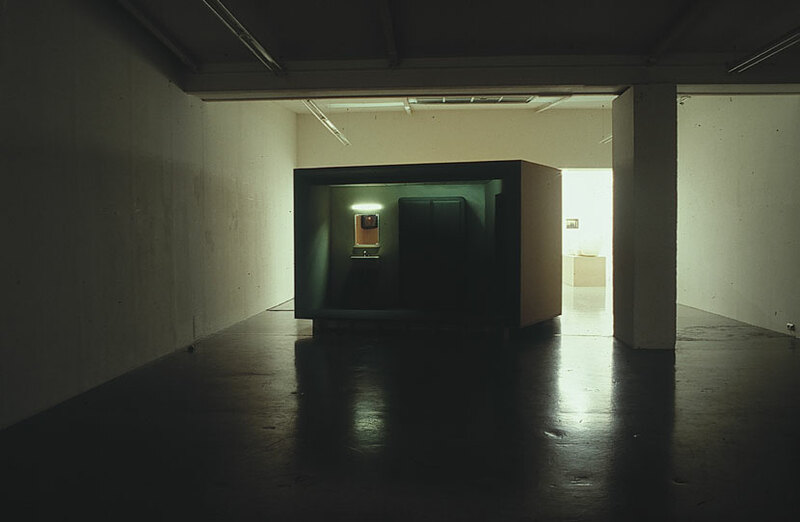 Aprèslude was displayed in 2001 in the halls of the Arsenale at the 49th Venice Biennale under the curation of Harald Szeemann.